Who are we kidding (?! 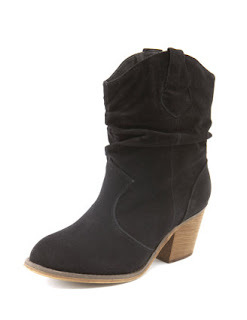 ), the only cyber Monday that I am considering purchasing is a pair of these Charlotte Russe Booties. They are a steal, and they are also fueling my recent obsession with booties. Which Geneva from A Pair & A Spare has kicked up a notch with her DIY Glitter Booties… Glitter + Booties… my head is exploding!